FREE SHIPPING All U.S. orders ship free via First Class or Priority Mail. Expect a 2- to 3-day delivery to your mailbox Monday through Saturday. SAVE MONEY You automatically save an 10% extra on top of our already discounted prices when you order online. The discount is reflected in your shopping cart. NEW! AMERICA'S MOST TRUSTED PROTOCOL HERBS in vegetable capsules. And they're 4x CONCENTRATED FOR CLINICAL STRENGTH you won't find in any other products. 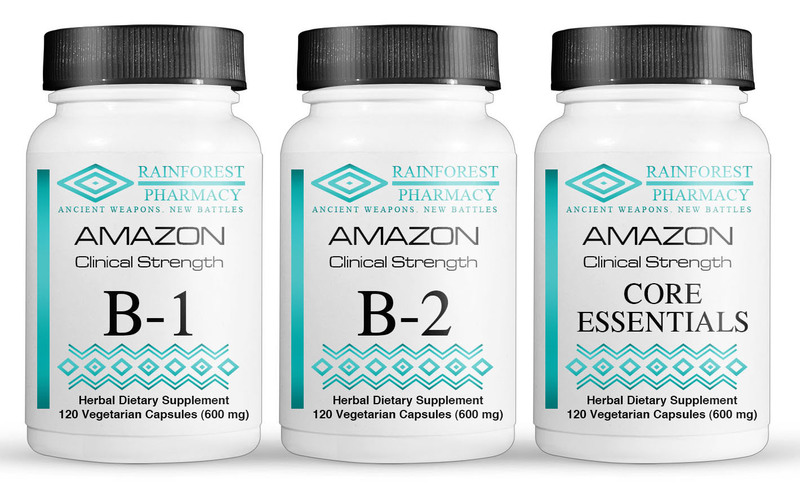 Choose from CORE ESSENTIALS or AMAZON B-1 and B-2. Questions? Ask. Click My Question for Susan and Derek. Your get your response fast, usually within minutes. MORE GOOD NEWS! We've extended our telephone order-line hours from 9 a.m. to 4 pm Eastern. CONSUMER ADVISORY *Statements appearing on this Web site have not been evaluated by the FDA. Products are not intended to help you diagnose, treat, prevent, mitigate or cure any illness. If you are sick, please, use common sense. Consult a doctor. We do not give medical advice. "I used Samento for over a year and was extremely happy with it. Then I read about Uncarine Max and decided to give it a try just to see what would happen. I immediately felt a surge in benefits. After a week, I switched back to Samento and I took a few steps backward. I went back on Uncarine Max and felt better again. I switched back to Samento and once again went backward. No more testing necessary. Uncarine Max is stronger and better. I'm sold." "Derek and Susan - your Otoba Bark and Uncarine Max have definitely brought me to a new level of health.Feeling awesome, more energy, no aches and pains. So thankful for you and your good work with herbs. I am doing very well!" Here's more: Uncarine Max. It's better than Samento for me. I also want everybody to know that I was able to call and place my order with Derek himself. I didn't have to fuss with a clerk, and nobody said, 'You CAN order by phone but it will cost you a $15 'service fee' if you do. Derek and Susan don't do that. They treat you like family." - "I used Samento and Cumanda for over a year without much result but felt big improvements in my hand and knee as soon as I started taking your Uncarine and Huacapurana. I have recommended you to many friends and several professionals. Thank you." - "I felt a big difference with your Amor Seco DM and Pimpinella after taking Burbur and Pinella for over a year. My doctor is very happy. I'm very happy, too." - "I love the taste." - "Thank you for helping people with these wonderful products." - "I was losing hope but your products have restored my faith." - "I'm getting better results with Uncarine Max and Otoba with lower doses than I needed with Samento and Banderol. All four products are good. It's just that Uncarine Max and Otoba are working better for me." Consumer Advisory. Statements and products on this Web site are not intended to help you diagnose, mitigate, treat, prevent or cure any illness. Statements have not be evaluated by the FDA. If you are seriously ill, consult a doctor. Doctors - don't lose patients or stress them financially by recommending dietary supplements that offer no advantages and cost too much. 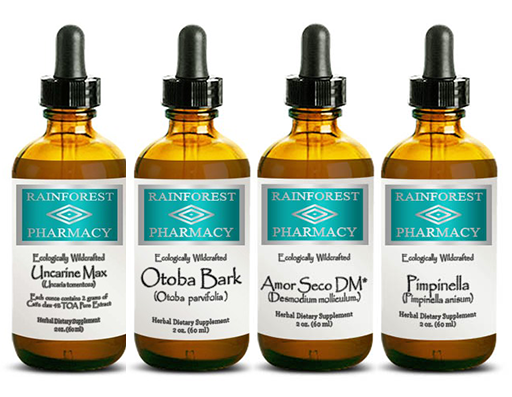 Our herbal identicals and alternatives can save your patients 50% to 70% on individual herbs and protocols. Email Practitioners or call 1-800-215-4682 for more information.